This modern spacious 4 bedroom home with open plan living areas, large swimming pool, BBQ, gazebo is approximtely 2 kms from the beach. 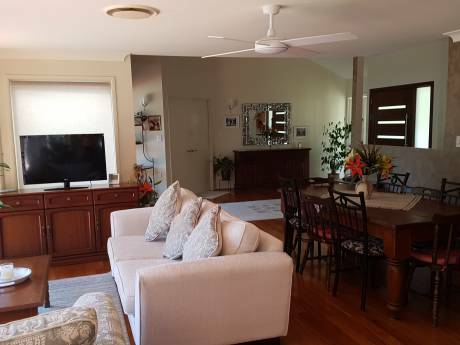 We are situated in a quiet street which backs on to the Tallebudgera creek and has ocean access- great for fishing or boating- (you can actually fish from the jetty).The house has 2 queen bedroom one with ensuite, one double bedroom and one single bedroom. With its formal nd informal living and dining rooms it is decorated with a blend of antique and contemporary decore. 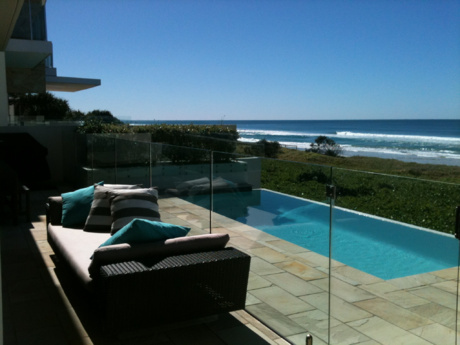 We are only 10 minutes from Coolangatta Airport and 5 minutes away from the M1 Motorway which connects to Brisbane or the Sunshine Coast in the north or the Tweed Coast and Byron bay in the south. Mt Tambourine and Springbrook are about 40 minutes away. 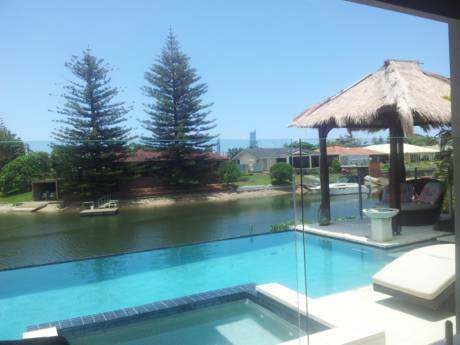 The Gold Coast offers the visitor many attractions including swimming, surfing, boating, fishing, diving, golfing, bush walking and not to mention the theme parks such as Sea world. Movie world, Wet n Wild and Dream world. It also has some of the most diverse flora and fauna in Australia with World heritage listed National Parks close by. My name is Debra Glen and I am a primary school teacher who enjoys travelling both the world and my own beautiful country. I have two daughtres Sacha 20, and Jessica 17 who also love to travel in fact Sacha will be working in Whistler from October 2007 to April 2008. We would dearly love to visit her in canada and have a white christmas and of course ski. Other places we would love to visit is Europe and would include France Italy Spain Portugal England Ireland Sweeden Denmark and South Africa- any destination really.